Hello friends and fellow foodies!! Many times we want to eat something tasty, but time and stress beat us! Today I bring you a simple, quick, tasty and gourmet bite! 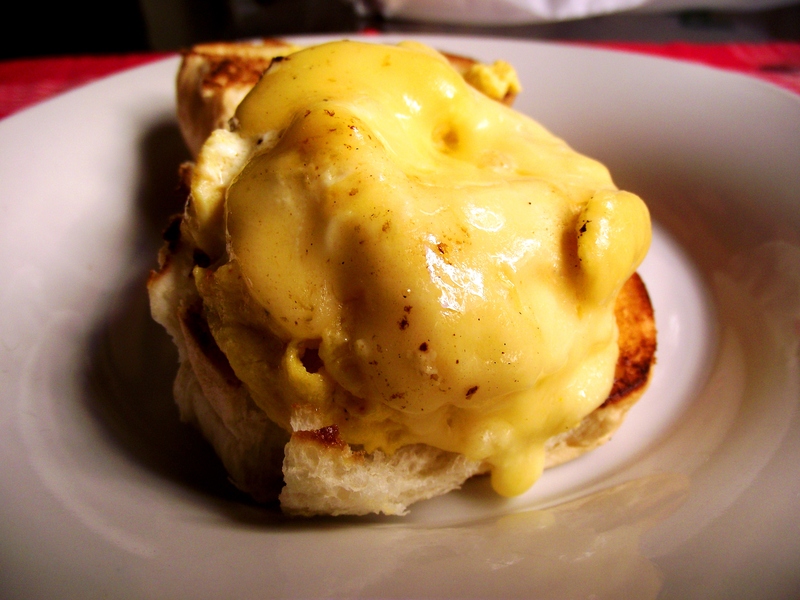 Egg sandwiches are famous amongst Dominicans. Well, to be fair, egg sandwiches are one of those ideas you can see reproduced in all cultures, from an egg sandwich in baguette bread (customary in Dominican Republic) to the tasty Eggwich in bagel. A pinch of black pepper and salt. Cut, butter and toast your bread. Set apart. When ready, take out, put the cheese on top and allow to melt for about15 seconds. The egg will come out like a little cake. Remember that you may follow us in YouTube, Facebook and in Twitter. You can also download our “fogoncito toolbar” to stay update with all fogoncito’s posts, facebook and twitter updates! This entry was posted in Adventures!, Vegetarian, Vegetarian - Lactoovovegetarian and tagged best Dominican food blog, best food blog, dominican food, Dominican food at el fogoncito, Egg sandwich, eggwich, el fogoncito.com, elfogoncito, elfogoncito.net, vegetarian récipes. Bookmark the permalink. 4 Responses to Egg sandwich…reloaded! Nothing like a good egg sandwich! I know! Right!? My personal favorite is eggwich! Love this… delicious, simple and just enough extra touches to show a great cook! Thanks for your very kind words Dave!